"Sally," our 6-year-old, wanted to be like the big girls this summer and try reading chapter books. 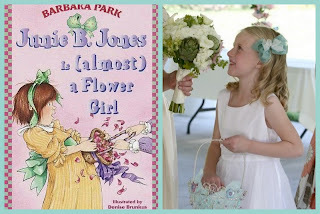 She had heard about Junie B. Jones (by Barbara Park) and wanted to try reading one. We found several used copies at yard sales to start her collection. There are 27 books in the series that first graders can relate to. I picked "Junie B. Jones, Almost a Flower Girl" because my daughter was a flower girl this summer and "Junie B. Jones, and a Little Monkey Business" (about her new baby brother) because "Sally" had a new baby brother this summer too. These were perfect for her. She wanted to read them to herself quietly but I started her off by reading the first page then having her read a page aloud to me. Then she was off! She zipped through the books (She started the Monkey book by reading two chapters at bedtime and finished it in the morning before breakfast) and laughed out loud and told me about the funny parts. I had her explain more about the story and she was actually comprehending and remembering the details she read. I wasn't expecting that because in kindergarten they were only reading books with 10-15 words on a page. Now she was reading an actual chapter book without pictures on every page. The books seemed to be very entertaining for her. When I had her read a few more parts to me out loud I realized she was skimming over some tricky words when she read silently but she understood what was happening because of the context. Reading out loud forced her to sound out the word. There are also many slang or made-up words Junie uses so it is good to look through the books and explain that we don't really talk that way. Junie also talks disrespectfully to adults (she is a very confidant little girl) but I don't always like the example she sets for those reading the stories. 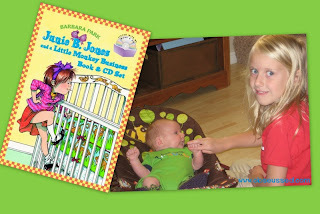 Overall, the Junie B. Jones series gets the obSEUSSed approval for encouraging kids to read. "Sally" will be reading more of them. 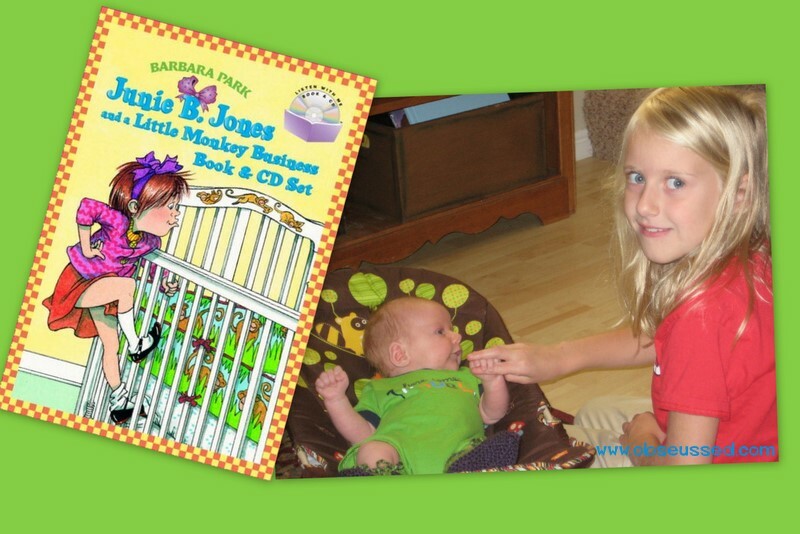 More about Junie B. Jones can be found at Random House. It's so fun to find a new series like this, isn't it? One of our favorites is the David series by David Shannon!